K2 blackpearl and the K2 platform is a large, powerful, "game-changing" application platform built on Microsoft technologies. Understanding it from top to bottom would be a great task for a single person, which is why we have gathered more than a dozen authors to supply you with the information to successfully transform your company into a process-oriented, efficient business that can grow with the K2 platform. 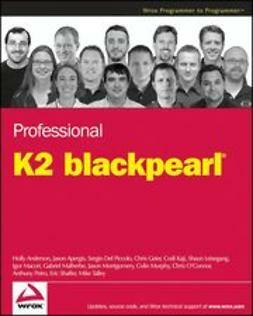 Since this is the first book on K2 blackpearl, you will find a broad range of topics in this book, from the market in which K2 blackpearl is aimed to the architecture of the platform, from how to approach process design to developing your own custom user manager. The first part of the book is meant for everyone and provides an understanding of K2 blackpearl and where it fits in the marketplace. It is included to provide a framework for thinking about various aspects of process-driven applications, including how they differ from business process management techniques; identifying processes in your company to automate, the different pieces that make up a process; measuring the success of your efforts; and finally shifting your company's culture in the direction of process efficiency. This section may be the only section you need to read if you are sponsoring a process improvement effort in your company. If you are responsible for leading the effort, make sure to read Chapters 3 and 4. The other parts are meant to provide details on how to effectively deploy and use K2 blackpearl and include a broad range of topics. Read what you are most interested in, but also make sure to read Chapter 8, which will give you a great foundation to start designing processes with K2 blackpearl. Chapter 14 is also recommended for everyone because it provides an overview of the available K2 Designers and how you can share projects among them. If you are a developer, you may be tempted to flip through the book looking for code, and you will find some, but we also recommend reading much of the rest of the book to learn how the API and the K2 platform extensions fit within the overall process-driven application environment. Pay particular attention to Chapter 22 and the Appendix, which may save you hours of coding or give you a no-code solution to something that you may have thought would take hundreds of lines of code to accomplish. If you are an administrators, focus on Parts II and IV, but also take a look at the other chapters to gain an understanding of how your users will be using K2. 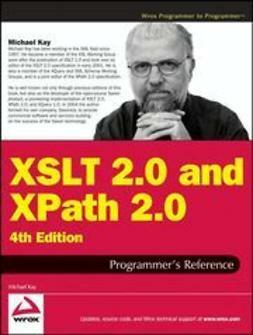 K2 blackpearl is the main subject of this book, although we devote an entire chapter, Chapter 23, to the add-on product K2 connect to give you an understanding of how to bring SAP data into your processes. We also talk a bit about K2 blackpoint, particularly in the SharePoint chapters. Since K2 blackpoint is built on the K2 blackpearl foundation, many of the same concepts apply to that product as well, but we do not point out the differences between K2 blackpearl and K2 blackpoint. For that information browse to www.k2.com. We recommend that you approach this book in parts and perhaps read or reference each part differently. If you are working on a team, each member of the team may find one part more interesting to them than the other sections; that is expected and is how we designed the book. Part I, “Introduction to K2 blackpearl and Process-Driven Applications”: The first four chapters discuss what K2 blackpearl is, how the applications you can design may or may not fit the business process management (BPM) model, how to go about identifying and designing processes, and last how to measure results and shift the culture of your company to a more process-oriented business. Part II, “Architecture and Installation Options for K2 blackpearl”: Chapters 5 and 6 will get you started. Installing the K2 blackpearl components is a necessary step before you can start designing processes, so in these two chapters you will gain an understanding of all of the pieces of the platform, the architecture, and the supporting technology, as well as ideas on how to plan out your development, QA/staging, and production environments. Part III, “K2 blackpearl Process Planning and Design Essentials”: Chapters 7 through 14 give you a ton of information about how to design, build, extend, and generally work with the main pieces of the platform. From a step-by-step tutorial on building your first process to how to share processes across the different K2 Designers, you'll learn all of what you need to really get ramped up. Pay particular attention to Chapters 8 and 11, which cover the basic things you need to know about process planning and the various concepts of process design with K2 blackpearl and then provide an in-depth view of the available forms technologies that you can use for user interaction with your processes. If you are particularly interested in SharePoint, make sure to read Chapters 12 and 13. Part IV, “Administration of K2 blackpearl”: Chapters 15 through 20 offer an administrator's view into the platform. Things like disaster recovery, logging, security, and using the K2 Workspace for notifications, reports, assigning process permissions, and recovering from errors are all key aspects of the platform that you or someone in your company will have to understand. This section gives you everything you need to know and probably more, including how to build your own user manager to plug into the K2 platform. Part V, “Advanced K2 blackpearl Concepts and Platform Extensions”: The last part includes Chapters 21 through 23, and these chapters are there to round out the discussion of the platform. You'll find information about using the Event Bus to surface outside events to the K2 server and a discussion of tailoring the platform and your processes to your particular needs by going beyond the default settings of the components that you learned about in Chapter 8. Finally you'll learn about the K2 connect platform extension, which allows data from SAP (and eventually any system for which a WCF LOB adapter is released) to be used within your processes. There are some pieces of this book that you can sit down and read without needing a computer or access to K2 blackpearl at all, but much of this book requires you to have access to K2 blackpearl and the supporting applications as well. Whenever we talk about designing processes, we do so in the context of the K2 Designer for Visual Studio. 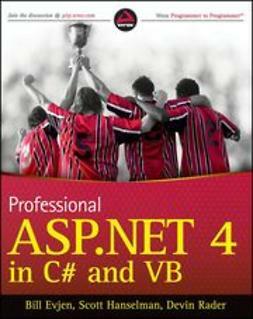 To install this component you will need Visual Studio 2005. 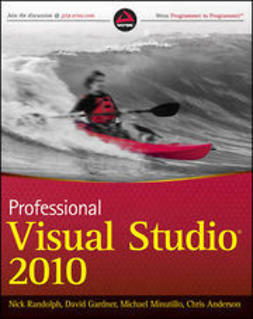 Support for Visual Studio 2008 may be available by the time this book is published, so look for that on www.k2.com. For the server pieces of the platform, you will need a Windows Server 2003 environment (virtual or otherwise) and the additional components required by the K2 server.